The average person spends over 1/3 of their life sleeping, you might want to start doing some of these overnight beauty hacks to get the most out of all that time we spend in bed. Just by adding a few smart changes to your bedtime beauty routine, you can wake up looking more refreshed and glowing each and every morning. By knowing the right products to choose and the proper way to use them before bed, it can save you a ton of time on your morning routine as well. When you wake up with better looking skin and styled hair, you don’t have to use as much makeup and can spend only a few minutes getting your hair ready for the day. Use a moisturizer with Retinol: You probably know that if you want to fight wrinkles, nothing is better than Retinol. You should only use a Retinol moisturizer at night because the sun can degrade it. After you clean your face, apply a cream like RoC Retinol Correction Deep Wrinkle Night Cream to keep your skin smooth and wrinkle-free. Treat Acne: We all get pimples now and again so make sure you treat them while you sleep. My favorite overnight beauty hack, is to use C&C Over Zit Spot Patches. You just place the sticker-like patch over your pimple to bring down redness and flatten the bump. You don’t have to worry about getting acne cream all over your pillow. Use a Humidifier: An easy overnight beauty hack to do is to use a humidifier while you sleep. Our skin loses a ton of moisture every night but you can help it retain that moisture by using a humidifier. This is great to do during the winter when our skin gets really dry. Smooth your Lips: Get smooth and supple lips by using a lip scrub a couple of nights a week. I like using this DIY Brown Sugar Lip Scrub to get rid of the dry, flaky skin. Then apply a lip treatment to hydrate your lips overnight. Face Massage: As you are applying your favorite nighttime serum and creams, spend a couple of minutes massaging your face upwards and outwards toward your ears. This will help stimulate the lymphatic system to keep you from looking puffy when you wake up. Sleep with a Hydrating Mask: When you don’t have time to apply and wash off a face mask, sleep in it! Use a hydrating overnight face mask like, Olay Luminous Overnight Mask, to hydrate and brighten your skin’s appearance. 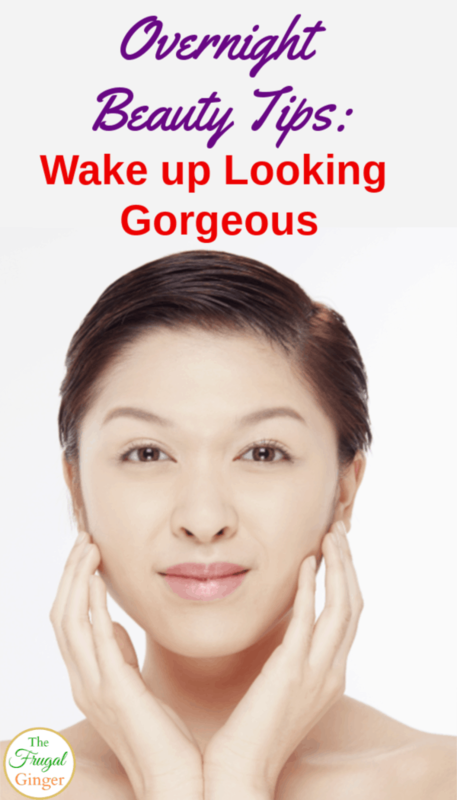 Get a Good Night’s Sleep: The secret to great, and not puffy, skin is to actually sleep through the night. Use some lavender oil on your pillow or a sachet by your bed to help you enter a deep sleep. If you are a light sleeper, you may want to use a sound machine as well. To get great beachy waves or curls without spending a ton of time styling in the morning, you can do one of two things: Use a sleep styler to set your damp hair at night ( I use this and love it) or you can part your hair in the middle and spray with a light oil mist. Braid the sections and pin into a bun at the top of your head. You should wake up with gorgeous waves that you just have to run your fingers through. Silk Pillowcase: silk pillowcases help prevent wrinkles on your face but they are also great for you hair, too! They help your hair retain moisture and prevent tangles. Scalp Detox: Using your fingers, massage a hair oil all over your scalp. This will increase circulation and promote hair growth. Wash with a purifying shampoo in the morning and your hair should look glossy and shiny. Strengthen Nails: Apply two coats of a nail serum like, Sally Hansen Gel Rehab, before bed to repair weak and brittle nails. Moisturize Cuticles: If your cuticles are cracked and dry, apply a small amount of coconut oil or shea butter to the cuticles and massage the oil into them. Leave on overnight. Repair Dry Hands and Feet: If you have dry, cracked hands or feet, use a pumice stone or exfoliant in the shower. Then wear some gel socks and/or gloves to bed. For a cheaper option, apply Vaseline to your hands or feet and sleep in cotton socks and gloves to keep moisture in your skin. I personally love using all of these overnight beauty hacks, because they are so simple to do yet make a big impact in the way I look when I wake up. 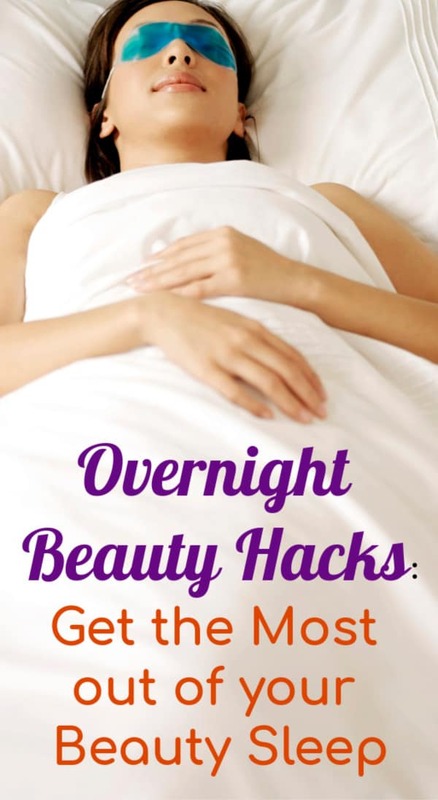 Let me know some of your favorite overnight beauty hacks in the comments and I’ll be sure to add them to the list.